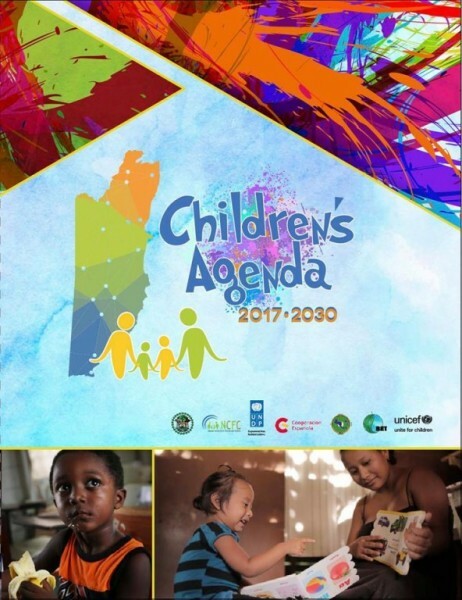 Less than a month after Prime Minster Right Honorable Dean Barrow and Leader of Opposition Honorable John Briceno made a global proclamation and signed the new Children’s Agenda 2017 – 2030 on May 15th, it was officially launched on Thursday, June 8th. The Agenda is a result framework that looks at the development of children and adolescents ages 0-19 over the next 14 years, and focuses on five main principles: the role of families, family-oriented policies in promoting education, safety, economic opportunity, and overall well-being of their members. The Agenda also raises awareness of the role of families in promoting early childhood education and lifelong learning opportunities for children and adolescents. This will be achieved through a strategic action plan that includes six transformational goals and five outcomes; with the overarching goal of having a community that is connected, respected and contributing positively to the development of all human beings. The Agenda is grounded in the determination to make Belize the best place for a child to grow. It reflects the firm belief and commitment to the fact that there is no alternative but to invest in an enabling environment which supports the fulfillment of children’s rights. Therefore, the embedded vision throughout this Agenda is to have a nation where the rights of all children are respected, protected and fulfilled, where their voices are heard and they are supported to realize their maximum potential. Margaret Nicholas, NCFC Executive Director, explained that the new Agenda is a pathway for better improvement. “We are hoping that we will be able to roll out more assistance to parents; more training so that they are able to parent these children, while getting better access to education, and health services. One of the things that we want to do is to move towards closing down some of these institutions for children and rather look at restorative programs; look at mediation; things that will help families and children to better live in our society,” said Nicholas. She further explained that the state of Belize’s youth should drastically change by 2030. “Should all these things be implemented, our children should be able to go to the Olympics and have gold medals because they will have better sporting facilities…they will be properly supported; that they will have access to education to have them develop into the men and women who will take over the society. They are also going to have access to drinking water, sanitation, be living in better homes, safer homes, and safer environments. Since the plan also works closer with the child friendly municipalities, it will work closer with the national youth policy…It is cross cutting and there are a number of other agencies that are involved in the implementation of the plan. It is not a stand-alone [process],” said Nicholas. NCFC takes this opportunity to extend its gratitude and appreciation to all stakeholders, especially the children and adolescents who played an integral part in the process and completion of the Children’s Agenda 2017-2030. 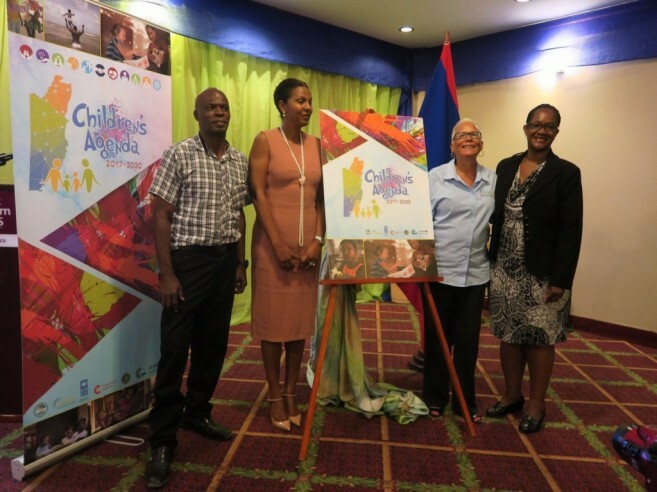 They also call on all stakeholders to commit to the values, principles, and actions for a coordinated fulfillment of the goals and outcomes to make Belize the best place to raise a child.